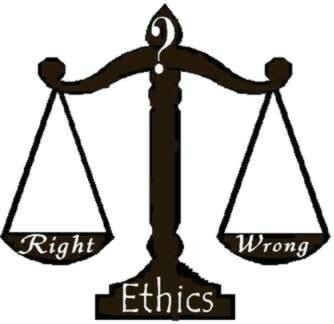 Ethics are moral principles that govern a person’s behavior. Everyone’s ethics vary depending on how each individual was raised, and how each person interprets the world based on each individual perspective. On October 5th 2005, an earthquake attacks a small school in Southern California which is currently in a drought. Classes 1st through 6th were gone on a field trip, leaving the kindergarteners alone to Mother Nature. Their teacher, Ms. Smith, knew that the kids would soon get hungry and thirsty, and with the majority of the kids already injured, she knew she had to act quickly. The teacher didn’t know how long it would take for them to be rescued. The teacher was able to steal some food from the cafeteria but water was still an issue. There was only one place in town that water was stored, the city’s water tank. The water tank’s pipes ran through the school, therefore water was available. There was only one catch. If you bust open the pipes, there was no way of stopping all the water from gushing out. One kindergarten class couldn’t drink 1000 gallons of water, yet they still had to drink water, and use it to heal their injuries. The teacher knew what she had to do and went to bust the pipes open. By doing this, she was able to keep the children alive and hydrated until they were able to be rescued. Consequently, she used all the city’s water to save the injured children. The result of our survey revealed a range of responses. The students’ ethics differ depending on their point of view, or how they’ve experienced life. In some situations, the right and wrong could seem like a very blurred line and could easily go both ways. Most students, given this situation, said that they would agree with what the teacher did (breaking into the water supply), although 21.1% said they wouldn’t. No matter what you think, you are entitled to their opinion. No one can force you to change what you believe, society may persuade you, but you have your own choice. Your ethics are different from others and that’s what makes you unique. What do you think about this story? Feel free to comment your opinion below.